If you’re new to the world of cannabis or just getting started with your CBD journey, you may be curious about all the different forms of CBD you keep hearing about. For example, you may have started to hear chatter about CBD isolate and CBD shatter. Is that legal? Where would someone buy legal CBD shatter? What sorts of companies have CBD shatter for sale? In this article, we’re going to answer all of your burning questions. We are giving you the CBD user’s complete guide to CBD isolate and CBD shatter. We will help you understand what exactly these substances are, how to use them, and even provide some great recipe ideas for you to try and use. We’ll also help you figure out where to purchase legal CBD shatter and isolate. Ready to learn all about these two less common forms of CBD? Keep reading! What’s the Difference Between Wax and Shatter? How-To Guide to Isolate: How Can Isolate Be Used? The easiest way to understand CBD isolate is, well — to know that it is precisely what it sounds like! CBD isolate is simply the cannabinoid CBD (or cannabidiol) separated away from all the other cannabinoids. When the CBD producer extracts the CBD from the marijuana or hemp plant through whatever extraction method they use — in our case, the CO2 extraction method — they can isolate certain cannabinoids they want to focus on. By stripping away all other material and keeping only the cannabinoid CBD, they have produced what is known as CBD isolate. This is CBD in its purest form. It is a crystalline CBD that contains CBD and CBD alone — nothing else! That’s why it’s called an isolate — it is isolated away from all the other things that the marijuana family usually contains. Isolating the cannabinoid CBD, as separate from all other cannabinoids in the hemp or cannabis plant, is what produces CBD isolate. It’s just pure CBD that you can then use for a variety of other purposes or forms. What is shatter, exactly? It sounds kind of dangerous! Luckily, it’s not. It may look similar to glass, but it’s something you can actually consume in a safe way! Where to buy CBD? The answer to that burning question is – right here! You’ve come to the right place so we thought we would reward you with 10% off your first purchase. Please use the code 1CBD4U at checkout to receive your discount. Essentially, CBD shatter is CBD isolate (which have already discussed above) but in the form of isolated crystals and with terpenes added. Like CBD isolate, it is the purest form of cannabidiol, or CBD, that you can get — it just has some extras added to give it the flavor and strain profile of some other types. 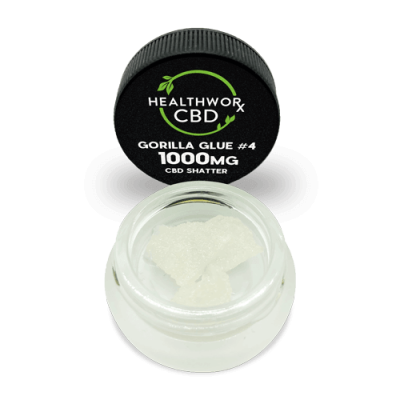 In other words, to make CBD shatter, the manufacturer simply infuses CBD isolate with terpenes. What are terpenes? They are just the natural chemicals in a plant that provide the scent or aroma of the plant. By adding terpenes to the CBD isolate to create shatter, it helps it to match the strain profiles of the shatter to different strains of marijuana, like Pineapple Express or Girl Scout Cookies. The reason people love this pure form of CBD so much is that it offers people a way to relax and chill out and get out from underneath their crippling anxiety, yet will not get you high. As long as you choose the right CBD shatter, it should contain 0% THC. THC is the psycho active element of marijuana plants — in other words, it’s the compound responsible for getting you high. Another one of the factors that make CBD shatter so popular is the fact that you can blend the CBD shatter crystals with your favorite essence to enhance the flavor. Once you see CBD shatter, it may be unclear to you what the difference is between marijuana wax and CBD shatter. They have a similar potency and also sort of resemble each other. So what makes it different? The difference is that CBD shatter is almost like a more advanced form of CBD wax. The process of creating CBD shatter is similar to the process of creating hard candy. Many people do not necessarily know how hard candy is made, but it is easier to understand if you think of it through the lens of this analogy. 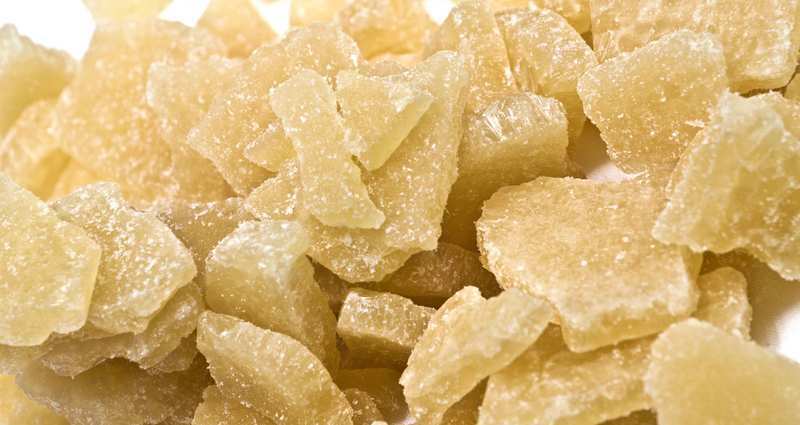 If you stir the candy solution (or the CBD solution) while it is cooking or setting, some of the molecules will start to clump together or crystallize. When this happens, the hard candy (or CBD shatter) turns gooey and crunchy instead of being transparent and translucent, like a glass, all the way through. Once this happens, the substance is no longer a pure shatter — it is a wax. CBD wax forms when a pure CBD shatter allows light to pass through or when it gets disturbed during the setting process, leading to the formation of crystals and an imperfect material. Factors like terpenes, temperature, and a whole host of other factors can all play a part in affecting your CBD wax or shatter. However, the most important thing to know is that CBD shatter is merely a concentrated form of CBD that has a glass-like appearance. It is similar in what it contains to CBD wax, but the formation process differs for each of them. Wondering what to do with CBD isolate? How can you use it? The good news is that you get to be creative here — you can use CBD isolate in a wide variety of ways. To many people, CBD isolate on its own has a cherry or mint taste. So, some people like to simply use it as is. You can mix up CBD isolate into drinks if you’d like, or even eat it straight up. This is a very quick and direct way to consume CBD, to be sure. But some people prefer not to consume it directly, opting instead to add it to their daily intake in a smooth way. Most people choose to dab or vape CBD isolate, but you can also use it as a pure base for making all sorts of other kinds of CBD products. You would be amazed when you imagine the possibilities of what you can create with isolate. Do a quick search on the Internet, and you’ll see just how many recipes are out there for creating CBD concoctions using CBD isolate and forming it into all your favorite meals, snacks, and treats. How do CBD infused green smoothies sound to you? Or how about CBD brownies — like pot brownies minus the high, or in other words, pot brownies for the modern age? Any food you love to eat, you can add isolate to it to really upgrade it and give it all the more healthful kick. If you look up blogs that write about using CBD isolate as one of the ingredients in the recipe, you’ll find awesome recipes for foods like CBD infused parfaits, CBD pesto — which you can add to shrimp or pasta for an instantly green gourmet meal — or even pumpkin pie and cranberry sauce if you need to get ready for Thanksgiving! If you’re curious about CBD isolate and you love to cook, why not just give it a go and cook a little bit of CBD isolate into your next meal? You could infuse a salad, sauce, or even a plate of eggs with CBD if you wanted to. This is a completely seamless way to integrate CBD into your daily life without even noticing a difference at all — except, ideally, in how much better you feel. With CBD isolate, the possibilities are virtually endless! You can create home made tinctures, balms, and more. You can incorporate your CBD isolate use into whatever forms you already take CBD in, or you can add it to your life by just including it in what you consume — like food and water — on a regular basis. For people who want to experience all the many health benefits of CBD but want to integrate it into their lives in a seamless way, CBD isolate can be a great way to do just that. You’re in luck — because our CBD isolate and CBD shatter does not contain any THC, you can purchase it right here on our site! CBD is legal in most places since it does not contain any element of marijuana that could get you high. Browse our wide selection of CBD products, including isolate and shatter, and check out all the possible options you can buy. For example, check out our top strength 1000 mg CBD isolate. Our CBD shatter features 97% pure hemp extract. The isolate extraction the CBD shatter contains is originated entirely from pure, Colorado grown industrial hemp. Because it is such a high quality product, it does not contain genetically modified organisms (GMOs) or pesticides of any kind. You will also find that it is free of dirt, mold, and bugs — all things you certainly do not want to find in your CBD shatter! In addition, we use the carbon dioxide (CO2) extraction process, leading to a pure substance you are sure to love. Check out our 1000 mg Pineapple Express CBD shatter. It is a sativa strain that offers an uplifting, almost euphoric, effect. Plus, it features notes of sweet, tropical, citrus, and cedar tones. 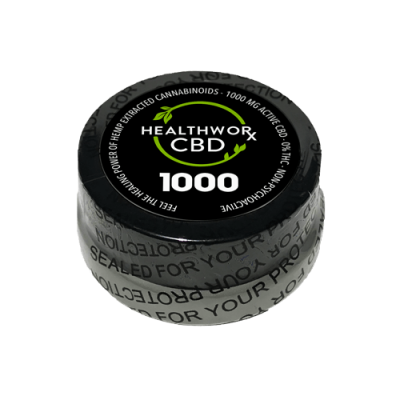 We also sell 1000 mg tins of CBD shatter in the strains Super Lemon Haze, Gorilla Glue # 4, OG Kush, Girl Scout Cookies, Green Crack, Indica Blend, Grand Daddy Purple, and Strawnana. Check out our wide range of CBD products and begin to benefit from all that CBD has to offer today. If you’re looking for stress and anxiety relief, less pain due to a chronic pain condition, or even relief from conditions like arthritis or even epilepsy in some cases, CBD just might have those solutions waiting for you. Our CBD shatter tests out at over 97% isolate. This makes it the perfect base for infusing into any other products you’re trying to create from your CBD. You can use our CBD shatter as an additive in foods or oils, including vaporizer e juices and any other kinds of oil you may want to consume. Wondering why you should buy from us? For one, we have a great reputation and we offer a wide range of high quality products. But of course, that’s not enough — we also provide the background information to prove it. On our site, we make the results of independent lab testing on all of our products readily available. On each product’s shop page, you will be able to see the test results backing up our claims for each of the products we sell. This comes from a third party lab and helps ensure that we are truly providing the top quality ingredients and products we promise. After all, we are passionate about CBD use and want you to enjoy yourself and have an effective experience with CBD. That’s why it’s so important to us to make sure that everything we sell — including our CBD isolate and CBD shatter — is the best it can be. Don’t hesitate to reach out to us if you have any questions! We’re here to help, and we’re happy to help you better understand any of our products. This entry was posted in CBD Science and tagged CBD ISOLATE, cbd shatter, legal cbd shatter, shatter.